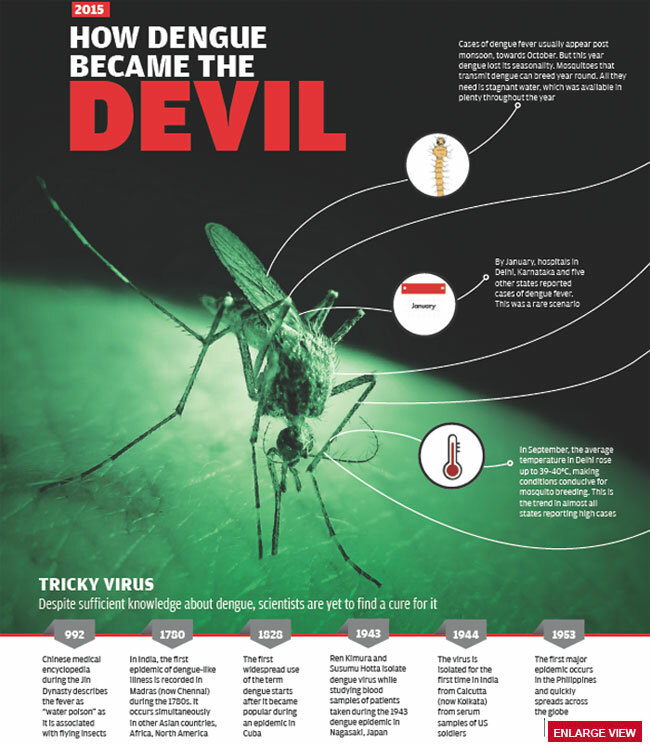 Every year, as the monsoon begins to wane, it stirs up an old scourge: dengue fever. But what has startled the country and public health experts this time is the timing when cases of dengue fever began to appear and the rate at which the illness swept the country. “Usually, the monsoon lasts from June to September and we see a surge in dengue cases around October. The number of cases starts declining as soon as humidity and mercury dip in November,” says Atul Gogia, an internal medicine specialist at Sir Ganga Ram Hospital in New Delhi. But this year, dengue season began much earlier, in July, and peaked by the end of August. Certain pockets in the country also reported the breakbone fever as early as January. A longer-than-usual dengue season ensured an unusually high number of dengue cases. What made the yearly scourge so virulent and unmanageable this time? 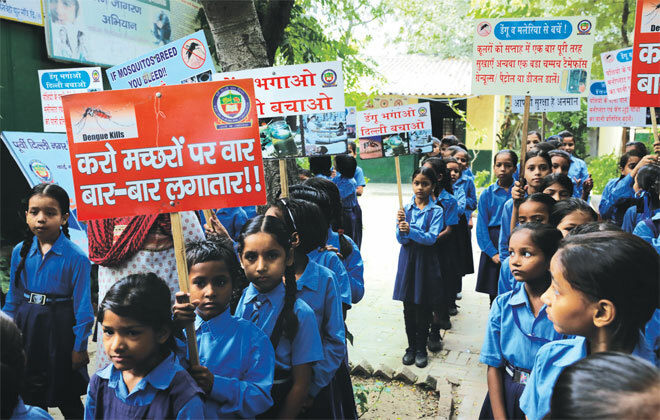 The unusual susceptibility of the country this time is due to an unusual monsoon, which was characterised by intense wet spells followed by long dry spells, explains A C Dhariwal, director of the National Vector Borne Disease Control Programme. This created favourable breeding conditions for Aedis aegypti and Aedis albopictus, the two mosquito species that transmit dengue virus. 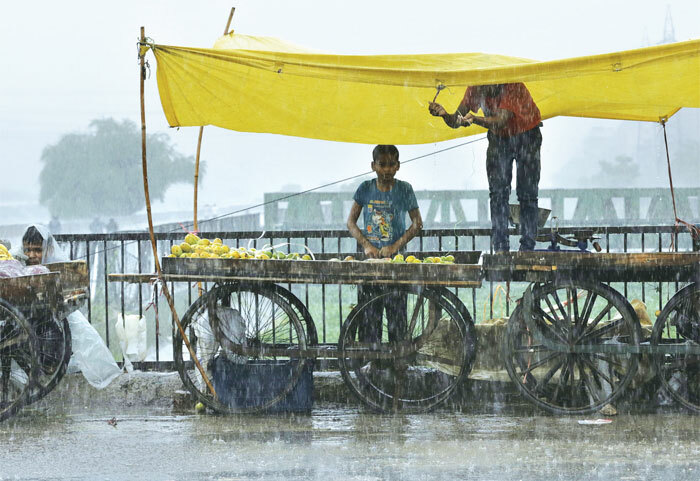 The National Capital Region (NCR), which is worst-hit by the illness, received almost the normal rainfall this year (with three per cent deficit till September 20), but it was not uniform across the season. The region has not received any rain since the third week of August. Long dry spells in the rainy season resulted in a hot and humid condition, suitable for the growth of mosquito larvae. This year, even though the monsoon became weak in the ncr in late August, humidity continued to stay above 60 per cent and the maximum temperature hovered around 39°C to 40°C, which is 5-6°C higher than the normal temperature for the period. Besides, explains Dhariwal, when rainfall distribution is uniform, rainwater flushes away stagnant puddles preferred for breeding by mosquitoes. But this year, freshwater remained accumulated in places like tyres and pots, allowing the dengue larvae to grow. This has been the case in most parts of the country this year. Studies conducted in other tropical countries corroborate this observation. A study that analysed 23 years of Mexico’s weather data shows that the risk of dengue is almost zero at temperatures below 5°C and modest between 5°C and 18°C. The risk increases as temperature rises above 20°C; and declines beyond 32°C as adult mosquitoes gradually die above 36°C. The researchers also found a link between dengue and rainfall pattern. Risk of dengue increases as precipitation rises to about 550 mm, beyond which the risk declines. This is due to the creation of rain-filled breeding sites, the researchers noted in journal plos Neglected Tropical Diseases in 2013. The risk declined at high levels of rainfall, which may be due to washing out of such breeding sites, conclude the authors. Another study in 2013 led by A Manoharan of Christian Medical College, Vellore, however, shows that in states like Tamil Nadu where temperatures are conducive for vector proliferation throughout the year, high incidences of dengue are reported in years that receive poor rainfall as well as in years of excess rainfall. Chennai experienced high incidences of dengue during the monsoons of 2001 and 2005 when it received excess rainfall. In 2003, it experienced poor rainfall, yet reported high incidence of dengue. The study was published in Indian Journal of Medical Microbiology. While the researchers of the Tamil Nadu study say climatic factors in isolation cannot dictate rate of dengue incidence, others point at a unique character of the dengue virus: it is the master of adaptation and knows exactly how to fool the human immune system. As of now, the scientific community is aware of four varieties or serotypes of dengue virus—Type 1, (denv1), Type 2 (denv2), Type 3 (denv3) and Type 4 (denv4). “Each serotype has a different bearing on transmission and fatality of the disease,” says Dhariwal. But an analysis of historical data reveals that the virus transmits at a faster pace and becomes virulent when multiple serotypes are in circulation. This is exactly how the dengue virus succeeded in causing isolated outbreaks across India this year. Usually, when the virus enters the blood stream, the human immune system triggers the release of antibodies that are effective in halting its entry. But different serotypes are largely similar in their genetic make-up and have very similar antigens. So, after thwarting infection by one serotype, if another serotype enters the bloodstream, the body fails to recognise it as a foreign body. This helps the virus give the human immune system a slip and spread the infection, according to a research published in plos Pathogens in January 30, 2015. This year, Delhi has seen a predominance of Type 2 and Type 4 dengue viruses, which together are responsible for a high rate of transmission of the disease, says Dhariwal. It has also been observed that anyone who survives an infection by one of the four serotypes gains lifelong immunity from it. To evade this, there is an observed pattern of yearly shift in predominance of the virus serotypes in different regions across the country, he adds. According to a theory doing the rounds in the media, the dengue virus might have undergone mutation this year. A newspaper article reported that researchers at aiims in Delhi suspect the prevalence of a new strain through its analyses of 50 samples. While aiims was expected to submit its final findings to the Union Ministry of Health and Family Welfare by September 18, no announcement was made regarding the findings till the time the magazine went to press. If the suspicion turns out to be true, this wouldn’t be the first time that dengue virus has undergone mutation. In a study paper published in 2013 in plos Pathogens, scientists have reported a crucial link between a mutation in the Type 1 dengue virus and the high rates of transmission during a major outbreak in Myanmar in 2001 when more than 200 people died from the disease. In India too, doctors in Mumbai suspect that mutations of the virus in 2012 and 2014 were responsible for high rates of infection. But not all agree with this theory. According to P K Das, former director, Vector Control Research Centre in Puducherry, the virus keeps mutating and it makes no difference in the transmission rate of the disease. What went wrong this year is our lack of preparedness and the fact that there has been a lot of noise about this in media, creating panic. The municipal corporation should have been prepared to prevent mosquito breeding and to create awareness about the fever, Das says. The reason for the unpreparedness, though, lies not in the unpredictable nature of the virus, but in the lack of societal responsibility, says a scientist with the Indian Council for Medical Research. Spread of dengue can be easily prevented with adequate and routine steps like regular flushing and covering of stagnant water sources. The administration alone cannot do it. The one message that is clear from this year’s outbreak is that the situation is going to worsen in the coming years—all thanks to climate change. In fact, not just dengue, climate change is going to make the environment conducive for the spread of all vector-borne diseases. The World Health Organization (WHO) says that “one of the major consequences of climate change is the rise in the incidence of vector-borne diseases (vbds)”, which include dengue, malaria, filaria, Japanese encephalitis and chikungunya. Explaining the link between climate change and vbds, Ramesh Dhiman, a scientist at the Delhibased National Institute of Malaria Research, says, “Insects are cold-blooded. They cannot regulate their body temperatures. That’s why any change in temperature affects the developmental cycle of vectors as well as the development of pathogens in their bodies.” According to A K Ghosh, director of the Centre for Environment and Development, a Kolkata-based non-profit, temperature rise can lead to floods, and this may lead to an increase in vbds. According to the June 2015 report of the Lancet Commission on Health and Climate Change, vector-borne disease risks increase as sea level rises and creates new breeding grounds along the coast. “Globalisation, unplanned urbanisation and environmental challenges such as climate change are having a significant impact on disease transmission in recent years. Some diseases, such as dengue, chikungunya and West Nile virus, are emerging in countries where they were previously unknown,” says WHO. The Intergovernmental Panel on Climate Change (ipcc) also says climate change is likely to expand the geographical distribution of several vbds and extend transmission seasons in some locations. ipcc’s fourth assessment report in 2007 says India will witness a “2°C to 4°C increase by 2050 compared with current climate”. The report also predicts that the “geographical range (for malaria is) projected to shift away from central regions towards south-western and northern states. The duration of the transmission window is likely to widen in northern and western states and shorten in southern states”. Experts also warn that the projected temperature increase in colder regions, such as the Himalayas, can trigger the breeding of mosquitoes and the rate of transmission. The epidemiology of dengue in India has already changed over the years in terms of strain, location and severity. And there is more to come, warn experts. “By 2030-50, India will become the malaria capital of the world,” says Ghosh. In fact, the Indian Network for Climate Change Assessment Report, 2010, shows that the climate in 14 districts in Assam will be conducive for malaria to spread throughout the year by 2030 because of global warming. At present just one district in the state has climate conducive for malaria to spread the entire year. The report also predicts that Uttarakhand, Arunachal Pradesh, Mizoram and Meghalaya will suffer because of climate change. While the direct correlation between climate change and vbds is established, experts say this can be arrested through proper surveillance and understanding. “Only a few foci (areas) in Himalayan region are likely to show opening of window of transmission of malaria and slight increase in intensity of transmission in northeastern areas. However, with existing intervention tools and better surveillance, the diseases can be controlled,” says Dhiman. Experts also say climate change is just one of the reasons behind the spread of vbds. And if the other reasons are contained, the spread will be arrested. Transmission of vectors depends on various factors— population density, types of housing, availability of screens and air-conditioning, human behaviour, availability of piped water, waste management system, land use, efficacy of vector control programmes and hygiene. “The resurgence of vbds in the past few decades has primarily resulted from population growth, urbanisation, changes in land use, microbial adaptation and change and breakdown of public health infrastructure,” says Ghosh. Dhiman says that vector control needs sustained work, which has to be intensified before the breeding season begins. “If the guidelines are followed scrupulously, there is no reason for increase in major vbds such as malaria, dengue, Japanese encephalitis, chikungunya, filariasis and kala-azar,” he adds. The World Health Organization has listed dengue as one of the 17 most neglected tropical diseases. And not without reason. Consider this. Between 50 million and 100 million dengue cases are reported annually from more than 100 endemic countries every year; almost half of the world’s population is vulnerable to dengue, but still drugs to treat the disease or vaccines to prevent it have not been developed. Researchers and policymakers say that the disease never received adequate attention because it mostly affected the poorest sections of society. But climate change has changed all that. It has helped the disease spread—the incidence of dengue has risen 30-fold in the past 50 years—and made large parts of the population susceptible. Dengue can no longer be ignored. For instance, during the 2014 Football World Cup, Brazil used a forecasting method to determine the risk of the disease during the event because more than three million Brazilian and international spectators were expected to be in the country. The government used a prediction model developed by the University of Exeter and the Brazilian Centre for Weather Forecast and Climate Studies to predict the probability of the disease for the 553 regions of Brazil. The model suggested that there was a probability of outbreaks in the northeastern cities of Natal, Fortaleza and Recife. The Ministry of Health and local authorities took cityspecific mitigation and control actions up to three months ahead of the World Cup. As a result, the overall reported dengue cases for 2014 were lower than the previous year’s. Such forecasts can help prepare before dengue season each year. Apart from preemptive measures, countries have also used bioenvironmental strategies to check the spread of the disease. Vietnam, for instance, used a small crustacean, called Mesocyclops aspericornis, to control dengue. This organism has a capacity to kill 30-40 larvae per day. The first demonstration of the efficacy of Mesocyclops began in 1993, when scientists at Vietnam’s National Institute of Hygiene and Epidemiology introduced local species of Mesocyclops into all of the water storage containers in Phanboi, a village in northern Vietnam. As a result the Aedes aegypti population in the village declined by about 95 per cent. The disappearance of the vector was significant because it was the first time in more than 20 years that even a local eradication of any kind of mosquito had been documented anywhere in the world. And it was accomplished without pesticides. Similar bioenvironmental strategies are being employed around the world now. Infecting the dengue mosquito with Wolbachia bacterium is one such method. Research has shown that mosquitoes infected with the bacteria become sterile. The bacteria are present in nearly 60 per cent of insects species in the world, but not in Aedes aegypti. When male mosquitoes with Wolbachia mate with female mosquitoes without the bacterium, the eggs the females lay do not hatch. When male mosquitoes with Wolbachia mate with females that are already carrying Wolbachia, the offspring will have Wolbachia, and be sterile. When female mosquitoes with Wolbachia mate with males without Wolbachia, all the offspring will have Wolbachia. China released half-a-million Wolbachia-infected mosquitoes in the province of Guangdong in May this year. Brazil, too, released 10,000 mosquitoes with Wolbachia in Rio de Janeiro in 2014. The results of both the initiatives are awaited. 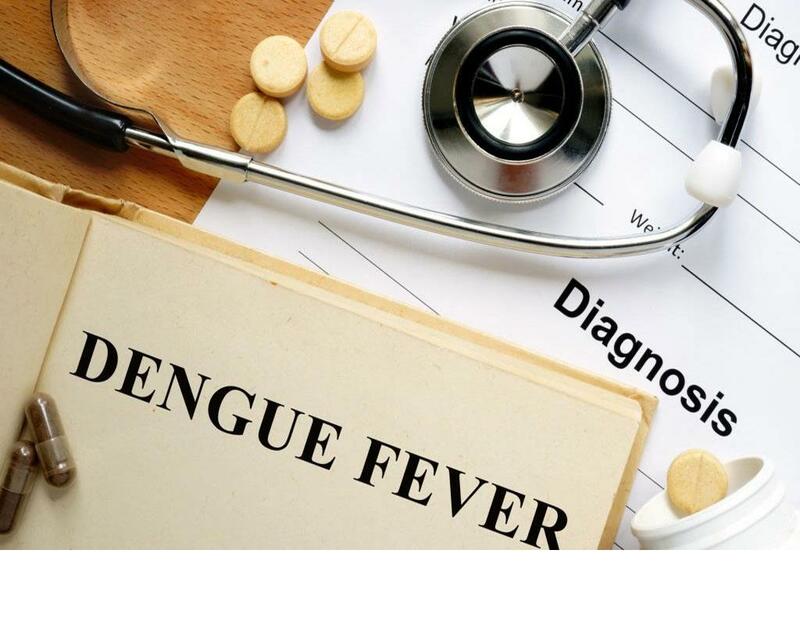 A study published in the American Journal of Tropical Medicine and Hygiene in 2014 estimated the total annual medical cost for India due to dengue was US $548 million. Eighty per cent of the expenditure went to private facilities. Including non-medical and indirect costs based on other dengue-endemic countries raises the economic cost to $1.11 billion. The actual economic and disease burden of dengue in India is substantially more than what is captured by officially reported cases. However, India’s response to dengue is rarely preemptive or long-term. It is one of the countries that are annually hit by dengue. It has a dengue control programme. But still its response is limited to firefighting measures. A study conducted by the Indian Council of Medical Research (icmr) in Delhi showed that intervention in non-breeding (December to May) period can reduce dengue transmission. icmr also sent a letter to the health department on May 19, 2014, suggesting that the government should take necessary steps during this period to avoid the spread of dengue. Still there were large number of dengue cases last year. Similar was the case this year. According to Brinda Karat, member Polit Bureau, Communist Party of India (Marxist), officials of the National Vector Borne Disease Control Programme had alerted the newly-elected Delhi Government of the possibilities of a dengue outbreak (based on their readings of meteorological department’s weather forecasts) in March. Yet steps were not taken to check the outbreak. Short-term measures, such as fogging and doorto- door surveys, that the government is currently undertaking are necessary to deal with a crisis, but they cannot be a long-term solution. nimr has been conducting Aedes breeding survey in Delhi for the past eight years and says that the mosquito breeds round the year. It conducted a study in 20 high breeding areas in West Delhi last year and concluded that controlling the breeding of Aedes aegypti in key habitats during non-transmission season would arrest the breeding in secondary habitats like coolers and solid waste. It would also reduce dengue transmission. Such interventions are important, especially because preventive or curative medicines to treat dengue are not available. What we need are strategies that provide long-term protection, are cost effective and safe for people and the environment. With inputs from Jyotsna Singh, Rajeshwari Ganesan. Technical support from Akshay Deoras, an independent weather forecaster. When Narendra Kumar, a labourer who lives in a slum in Delhi’s Badarpur locality, returned home from work on September 13, he found his mother burning with fever. He took Renu Devi, 63, to a nearby doctor but her condition kept deteriorating. He then shifted her to a nursing home, where he was advised to take her to Safdarjang Hospital. At Safdarjang, she was diagnosed with dengue. Kumar says he spent Rs.15,000 on treatment in the three days before he came to Safdarjang. He had saved this money to visit his village in Bihar during the festival season. It will not be possible for him to make the trip now. He is, however, relieved about his mother’s health because the doctors have told him not to panic and the treatment is free. Similar is the case of Balwant Ram, a Gurgaon resident. His wife, Vimal Devi, 40, was treated for four days in the city’s Metro Life Line Hospital at an expense of Rs.12,000. But her condition continued to deteriorate till she was taken to the All India Institute of Medical Sciences (aiims), New Delhi. These patients were still fortunate to have received timely treatment, which is not always the case. Till September 21, a total of 22 patients, mostly children, had died of dengue in Delhi. In fact, the media took note of dengue in Delhi only after two children, Avinash and Aman, were denied admission by Safdarjang and Moolchand hospitals and died on September 8 and September 12 respectively. The city has witnessed over 3,194 cases till September 21, with nearly 1,000 cases reported between September 5 and September 15. This is the worst outbreak in the last six years. Caught unprepared, the health infrastructure in Delhi was unable to cope with the deluge of dengue patients. Despite having witnessed the first case in January—a time when dengue cases are not usually reported—the governments did not take adequate measures to deal with the problem. The dengue cases in January were a result of unseasonal rainfall, followed by dry spell that created humid conditions and allowed the dengue-carrying mosquito, Aedes aegypti, to breed. The helplessness of the Delhi government in dealing with dengue was mirrored by other states too. According to the Union Ministry of Health and Family Welfare, all the states of the country have reported dengue cases this year. There have been around 27,676 cases of dengue in India this year, and 60 deaths. Delhi and Karnataka have been the worst affected states. South India in particular has reported a large number of cases this time (see map), with states like Kerala, Telangana, Andhra Pradesh and Maharashtra bearing the brunt of the dengue attack. Kerala has had the highest number of deaths (19) in the country. Even states like Arunachal Pradesh, which had no dengue cases two years ago, have been hit by the disease this time. So, is this year’s dengue virus more virulent? “No,” says Rajeeva Moger, senior consultant, Internal Medicine, Apollo Hospitals, Bengaluru. “In fact, the overall symptoms are easier to cure this year as compared to last year,” he says. But a few patients have shown “sudden” worsening of symptoms leading to death, he adds. Savio Pereira, associate medical superintendent at St John’s Hospital, Bengaluru, too sees no increase in virulence in this year’s strain. Apollo Hospitals and the National Institute of Mental Health and Neurosciences (nimhans) are jointly doing a study to identify the strain of dengue virus in circulation in Karnataka this year. Blood samples are being collected and tests will be done in November, when the peak dengue season is over. More information on this year’s strain is expected by December. The same team worked on last year’s dengue virus and found it to be the “serotype 2”, says Jayasree Shivadasan, consultant microbiologist, Apollo Hospitals, Bengaluru. Having witnessed dengue outbreaks since 1996 and fully aware of the post-monsoon peak dengue season, Delhi’s administration should have been better prepared. But even basic preemptive measures, such as fogging, were not undertaken in time. Hospitals in the city were not able to deal with the sharp rise in cases and started to either refuse admission to patients or could not provide timely and adequate service. In almost all cases of dengue deaths, it was found that the doctors either did not provide emergency services or refused admission. 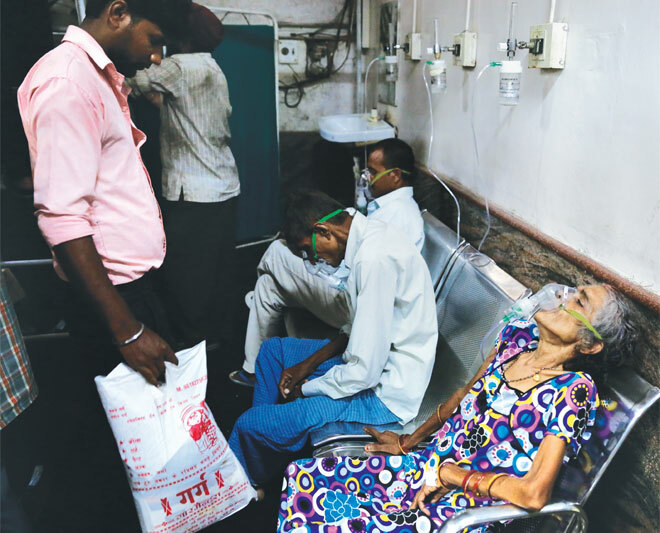 When a Down To Earth team went to Safdarjang Hospital, one of the biggest in Delhi, on September 15 (more than a week after the dengue outbreak), the scene at the special ward created for dengue patients was that of utter chaos. There were around 90 people in the room—patients and their family members—vying for medical attention, and the six on-duty doctors present were finding the going difficult. There were two patients on every bed, and more waiting outside. When it finally woke up to the problem, the state government issued an order on September 12, asking all state-run hospitals to increase the number of beds by 1,000 within a week. Even private hospitals were asked to buy more beds and hire more doctors, nurses and paramedics. It also ordered that patients suffering from dengue should be admitted on priority and hospitals must defer elective surgeries, if necessary, to make space for dengue patients. The government also cancelled the leaves of all doctors and directed private hospitals to cap the rates of diagnostic tests—the cost of platelet count test has been capped at Rs.50 while the elisa-based NS1-antigen and dengue antibody tests have been capped at Rs.600. But these measures are all curative, while the need was of preventive steps. 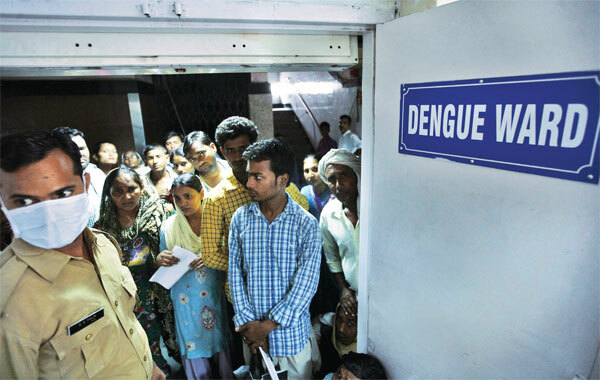 On September 17, taking note of the sharp rise in dengue cases, even the Delhi High Court asked the Union government, the state government and civic bodies to explain the steps they were taking to check the crisis. The situation is equally bad in Karnataka. The official figure for dengue cases in the state is 3,674, while the number of dead is four. But there are doubts about the accuracy of government data. In Bengaluru, the official figure for dengue cases from January 1 to September 18 was 1,199. But this appears to be a gross underestimate because just one hospital— Apollo on Bannerghatta Road—has reported 1,679 dengue cases since January. Other districts hit by dengue are Dakshina Kannada, Udupi, Mysore, Kolar and Bellary. Along with dengue, chikungunya—another disease spread by mosquito bite—has hit Bengaluru. The department of health and family welfare’s latest records say that a total of 1,428 individuals have been affected by chikungunya this year in Karnataka, of which 409 are from Bengaluru city. Bruhat Bengaluru Mahanagara Palike, the city’s municipal body, has undertaken awareness campaigns, but the efforts still appear to be inadequate. A lot of localities have yet to witness door-to-door campaigns or fumigations. Efforts to manage dengue in government hospitals have also been hit by the ongoing strike by some 2,500 junior and resident doctors for increase in pay. The scenario in Karnataka’s neighbouring state, Tamil Nadu, is no better. In fact, here local bodies are not even willing to share information. In Chennai, for instance, officials at the municipal corporation and doctors at the government general hospital are not speaking to the media. There are no official figures for dengue cases in the city. The issue has not even been picked up by the media in Tamil Nadu, which, the Ministry of Health and Family Welfare says, is the third most severely dengueaffected state in the country. It has seen 2,343 cases of dengue this year, including five deaths. The state government, however, appears in the denial mode. “Most of these 2,000 cases are from an outbreak that took place in Virudhunagar town in the beginning of the year,” says K Kulandaisamy, Director of Public Health, Tamil Nadu. According to George Varghese, associate professor at the Department of Medicine & Infectious Disease at Christian Medical College, Vellore, availability of improved diagnostic tools, such as the NS1 antigen test and IgM and IgB tests, is probably the reason behind the increase in positive cases being identified and recorded. Kulandaisamy says the government is in constant touch with local bodies to raise awareness and to implement control measures. Yet, there seems to be little public awareness on control measures. No public service messages have been seen in the print media or on television. “We are not using the media to spread awareness, rather focusing on local-level mobilisation and awareness campaigns. We are tying up with educational institutes to form student groups to spread awareness in their localities. Prevention of breeding is one part of this awareness. The other is to encourage people to consult a doctor if they develop fever. All hospitals are keeping records of fever cases. This data is being used to prioritise our control measures,” Kulandaisamy says. Unable to bear the cost of dengue treatment, people have started to make insurance claims for their medical expenses. Bajaj Allianz General Insurance says that it has seen a spike in claims in the past fortnight. In 2014-15, the company received 1,400 dengue claims. The figure this year stands at 900. But the numbers could increase as we are still in the middle of the dengue season. In the past three years, Bajaj Allianz has received, on an average, 2,100 dengue-related claims every year. Most of these came from Maharashtra, followed by Delhi and Gujarat. Companies are also trying to make a fast buck by offering insurance schemes. The website of Apollo Health Care Insurance, for instance, says the company offers a scheme for dengue with a base premium of Rs.578. So how much does a dengue patient spend on treatment? Patients have been found claiming to have paid lakhs of rupees for the treatment of their near and dear ones. This could be true, say experts, because the cost depends on the severity of individual cases. But on an average, the figure is around Rs.50,000. “Nearly 30 per cent of the treatment cost for dengue is towards room charges,” says Bajaj Allianz.